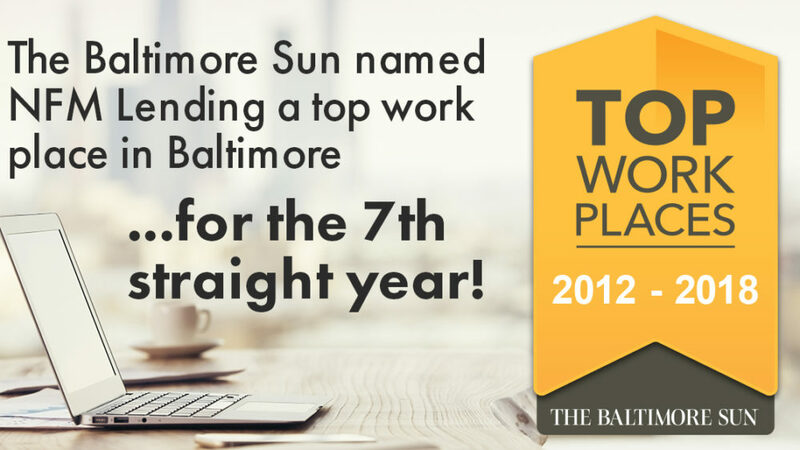 LINTHICUM, MD, December 1, 2018— NFM Lending is proud to announce that it was named a Top Work Place in the Baltimore area by The Baltimore Sun. This is the seventh consecutive year that NFM Lending has received this honor. In addition to this most recent award, NFM Lending has been recognized many times for its exceptional company culture and service. 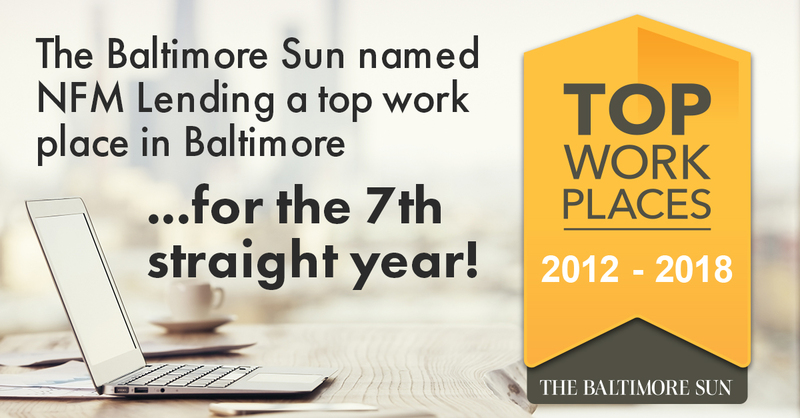 It has been named one of the Washington Post’s Top Work Places in the Washington, D.C. area for the last four years in a row. Also in 2017, it was named as one of Mortgage Executive Magazine’s Top 100 Mortgage Companies in America, as well as Scotsman Guide’s Top Mortgage Lenders. NFM Lending is proud of each member of its team and the work they do to make NFM a Top Workplace.